It is a requirement of your Agreement, that the goods are protected against Theft and Accidental Damage. We can arrange Theft & Accidental Damage Cover for £2.76 per week. It is a requirement that products purchased on a credit agreement are insured. We can offer Theft and Accidental Damage Cover for £2.76 per week. 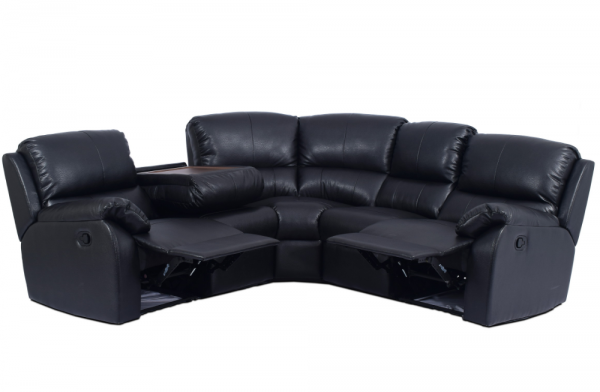 Make your home a perfect home with this Cassie bonded leather sofa. A modern corner recliner sofa with built in fold down table. The Cassie comes with two manual recliners, so sit back and relax knowing you're paying the lowest weekly price guaranteed.